Before we get too far into the ornament itself, I have to reiterate how much I dislike the fact that this year's range of ornaments don't come in the little clear plastic trays. 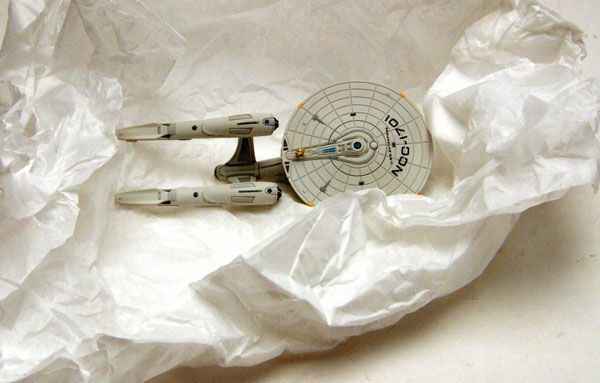 With the Enterprise in particular, the excessive wrapping may actually do more harm than good as it can put pressure in weak spots (which we'll get into later). I vote they go back to the trays! The ornament itself is incredibly well-sculpted, with tons of little detailing all over it. Looking it over, I kept thinking how far Hallmark has come in the sculpting department. 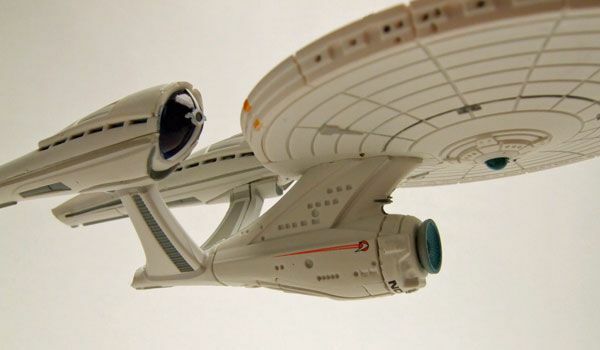 Comparing this Enterprise to their first effort is like night-and-day in terms of sculpted detailing. Fantastic work! Hallmark really nailed the paint work here as well, capturing even the smallest of details. It may not be quite as nice as last year's Klingon Battle Cruiser, but the paint on this one is still nothing to sneeze at. Again, not quite the masterpiece that was the Battle Cruiser. The light is only solid, no firing sequences or anything like that. Plus, the light stays on for only a very short time, which is a drawback in my eyes. The entire nacelle assembly is entirely askew on this ship! Now I'm not sure if I just got one that was poorly assembled, or if perhaps the wrapping caused the warping, but either way it's there and it's pretty bad. 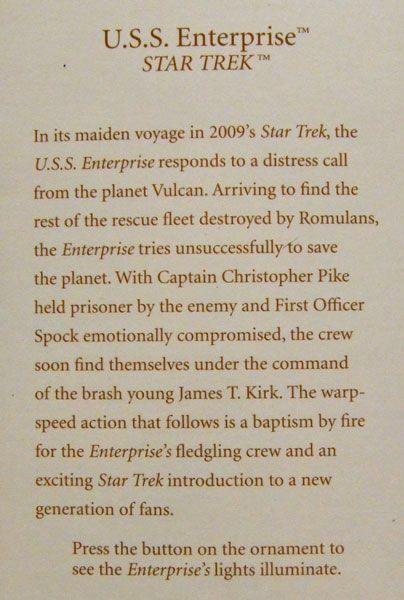 I've never once had a quality issue worth noting on a Hallmark piece, so this is very surprising to me. I may actually end up heading back to Hallmark to see about an exchange, so I'll update this post if it seems like a recurring problem. Mine wasn't quite as wonky as this one, but it appears it is a common syndrome. Good luck on getting a better replacement. 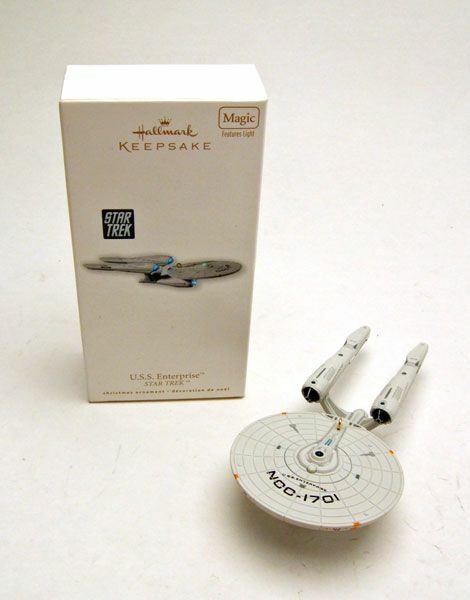 I just checked mine and thankfully I don't have the messed up warp nacelles. I took out all but 1 of the tissue paper wrappings (left 1 to prevent scratches) to prevent any pressure issues. If I were you I'd head to Hallmark to exchange, just make sure to check it for problems before you leave. 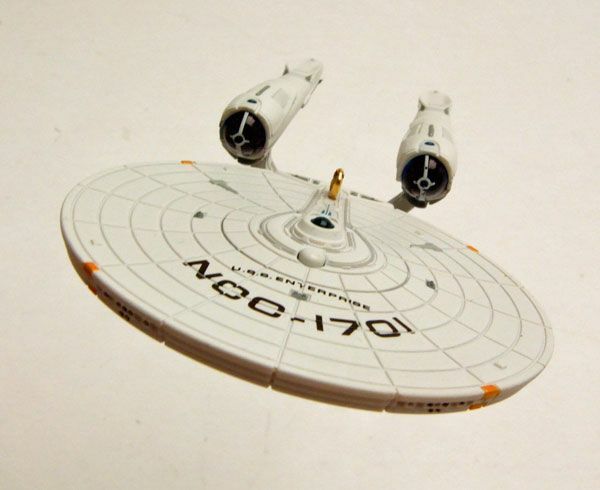 Bummer on the nacelles, stuff like that really bugs me as well. I haven't picked one of these up yet, but it's on my list before the summer is out. 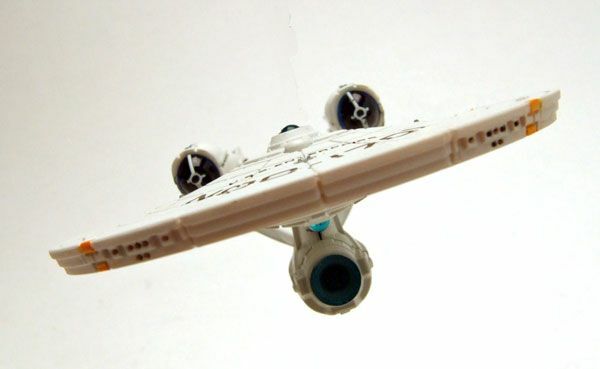 The nacelle issue seems to be fairly wide-spread. I fortunately heard about the problem before I bought mine, and knew what to look for. I looked at every one they had on the shelf in the store,and they all seemed to have this problem to varying degrees. One of them had actually broken in half in the box! The best one in the lot(nearly perfect) was the one on display! The store personel were happy to sell me that one when I asked them. 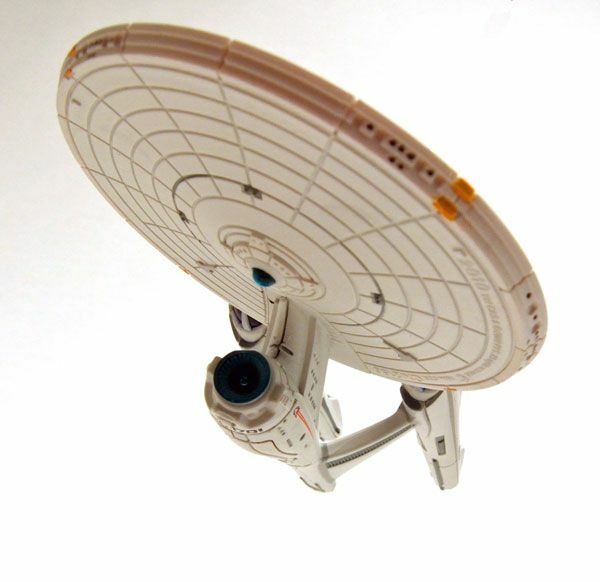 The connection between the nacelle support structure, and the secondary hull seems to be a weak spot to me. I don't know why they designed it like that. They are either glued on crooked, or separated completely in two! This is the first year that I've had to look for QC issues this bad. I'm glad I finally got one as good as I got. Good luck! The nacelle and packaging issues aside, there is another glaring problem - the location of the light push button just forward of the bridge! With all the excellent sculpting on this piece, they couldn't build the power switch into a sculpted feature like the bridge itself, or the navigational deflector? A bit of lazy engineering that affects the final aesthetic appearance of the piece, IMHO . . . 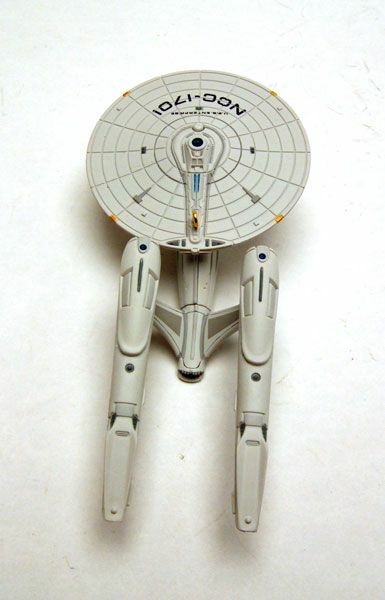 Same thing here with the nacelles. I bought this back on August, but never opened it. I hope I can get a better one from the store I bought it. But knowing that it is a widespread issue makes me feel a little better. Actually it's poor quality control, I went back to the store and an employee and myself looked at every single one that was left and all but one had something wrong with them, mostly crooked secondary hulls and one was even half assembled. The one I ended up keeping was only crooked by the smallest degree. I bought one that was completely seperated at the back half. Trying to get the stores to exchange it is like pulling teeth. I had to argue with the manager of a half hour to get a replacement, and when I did finally get it, the nacells on the new one were cocked. I can't believe the poor QC issues here. 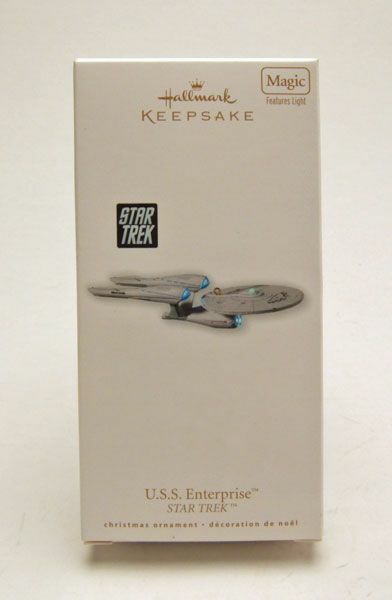 I thought I had a freak mistake, but the deeper I read all the posts, (all over the web) about this item the less hopeful I am about finding a good one. 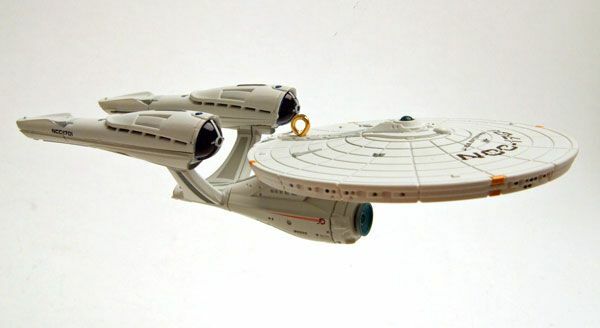 The overall details on the rest of the ship DO NOT COMPARE to the star ships sold in previous years. The ship is overpriced to begin with because they're selling a name to well established following. For the money, everything should be perfect. Hallmark should address this issue. I've written them twice, (once after each purchase)... think I'll call them. It took me some time to warm to the new ship - that's for sure. But I do like it now. Can't imagine how this slipped passed me - was this ever released in the UK? I'd love to get one. 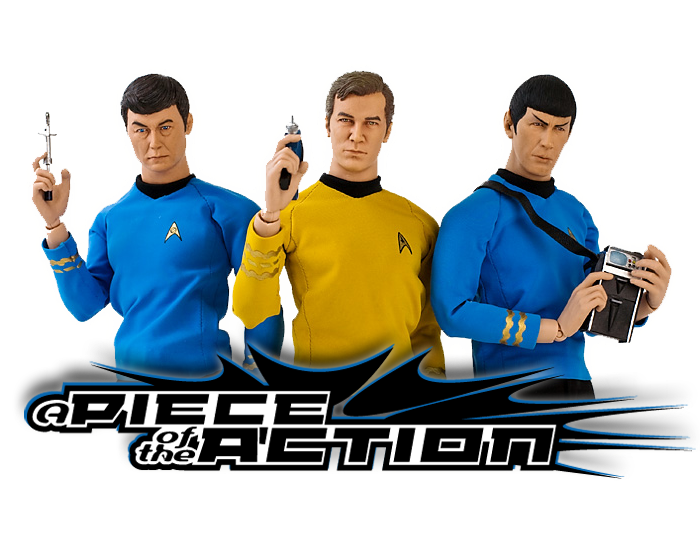 Star Trek 'Potpourri' Spotlight- Spock Play Suit!